As discussed in our previous article on this point on the 26th November, following the Chancellor’s Autumn Budget speech on the 22nd November Stamp Duty Land Tax (SDLT) is back in the headlines with the announcement of the immediate abolition of SDLT for first time buyers subject to certain caveats. For first time buyers completing transaction on or after the 22nd November, the SDLT exemption will apply to the first £300,000 on purchases where the transfer value of the property is less than £500,000. The exemption does not apply at all to property purchases where the transaction value if above £500,000. The standard rate of SDLT (5%) applies between £300,000 and the £500,000 limit. For properties in London the exemption applies to the full £500,000. The Government’s hope is that this exemption, taken into context with a planned net increase in the construction of new homes and combined with pressure on landlords with higher rates of SDLT, will provide a welcome boost for first time buyers although it remains to be seen whether increased demand will lead to house price rises over and above any SDLT saving. For conveyancers, who are now extremely familiar with snap SDLT changes following various changes in the last few years, the introduction of the first time buyer exemption has very little impact on their responsibilities. SDLT is by far the most common tax for a conveyancer to have to deal with on a transaction basis and under most circumstances the purchaser’s conveyancer will be responsible for completing and submitting the SDLT return to HM Revenue & Customs (HMRC) as agent for the client and ensuring the relevant tax payment is made on time. Even where no SDLT is actually due to be paid, HMRC still require to be notified within 30 days of completion where the value of a transaction is over £40,000. Once notified, HMRC will provide an SDLT5 certificate, which itself is required by the Land Registry to affect any changes to the legal title for the property. For this reason, mortgage lenders will mandate that the conveyancers deal with the submission of the SDLT to prevent any risk to the lender’s security through a delayed registration. Any first time buyer should therefore check whether there are any fees associated with the submission of the SDLT return to HMRC by their conveyancer even where no SDLT payment is due. 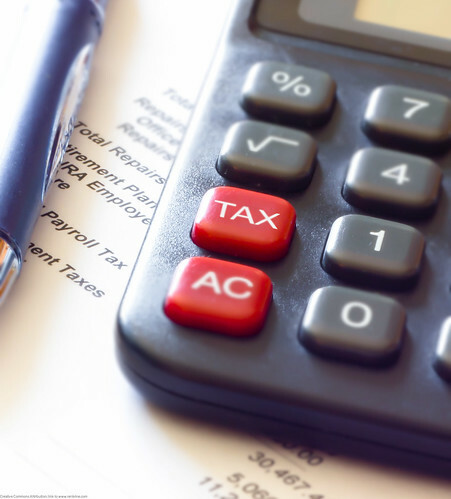 Whilst most conveyancers are not qualified to provide specific tax advice they are, nevertheless, facilitating transactions that may have broader tax implications including, among others, capital gains tax, income tax and, of course, stamp duty land tax (SDLT). To ensure that any information provided to HMRC by the Conveyancer is as accurate as possible, and as tax is a personal liability, clients will usually be required to sign the SDLT submission as well as executing a declaration confirming their understanding of their personal position and their tax liability. Clients should be aware that, as per the warning on the Land Transaction Return, providing false information may lead to financial penalties and prosecution should HMRC investigate following submission of the land transaction return. This is of particular note for parties purchasing a second property where they are not replacing their main home, or purchasing for the first time in their own name where their spouse already owns r property, as the higher rate of SDLT may apply to the transaction. A conveyancer will not normally have information with regards to their client’s assets outside of a transaction and will rely on the information provided to them by their client. The higher rates of stamp duty are 3% up to £125,000, 5% Over £125,000 and up to £250,000, 8% Over £250,000 and up to £925,000, and 13% over £925,000 and up to £1,500,000 with 15% Over £1,500,000. As an example; on a transaction at £300,000 the standard rate of SDLT is £5000 whereas at the higher rate £14,000 would fall due. Professional tax advice should always be sought where required or where there is any doubt as to a tax liability.